Anzac Day will be commemorated on Wednesday 25 April. All our libraries will be closed on this public holiday. Read our page on Anzac Day and Gallipoli to find out more about this commemoration. 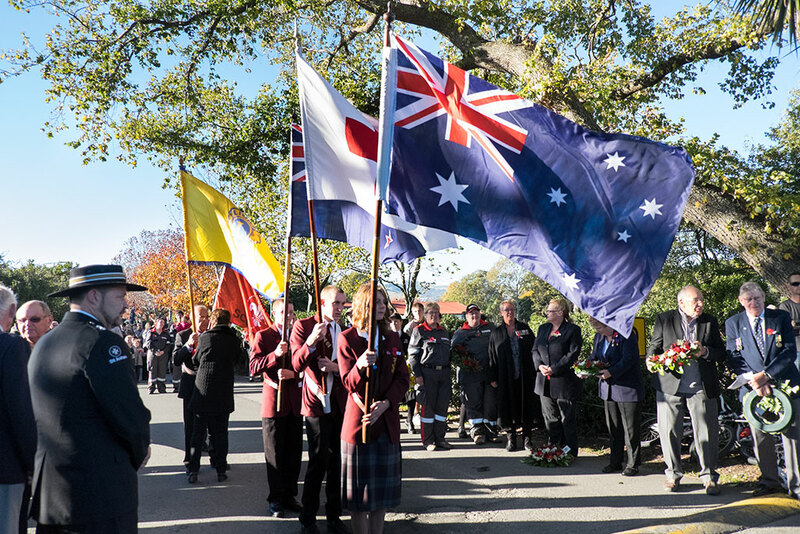 The dawn parade and Anzac service will be held in Cranmer Square. The parade marches from the RSA building on Armagh Street. 7.15am: Service concludes with wreath laying, as Mayor Lianne Dalziel lays a wreath on behalf of the citizens of Christchurch. This event is organised by the Canterbury Branch of the Malayan Veterans Association in conjunction with the Christchurch Branch of the Royal New Zealand Returned and Services Association (RSA) and Christchurch City Council. The Anzac service for Christchurch citizens will be held at the Transitional Cathedral, Latimer Square starting at 10am. Organised by Christchurch City Council in conjunction with ChristChurch Cathedral and the RSA. Come and join in honouring the service and sacrifice of thousands of New Zealanders who have served with the Air Force at their annual Anzac Day commemorative service. The service will commence at 12pm midday on Wednesday 25 April 2018, in the Museum’s Atrium. Staff from Te Hāpua: Halswell Centre, Upper Riccarton, and Spreydon libraries share their research from the war stories of men who enlisted from the Halswell area. A collaborative display of research on the war stories of men who enlisted from the Sumner area. 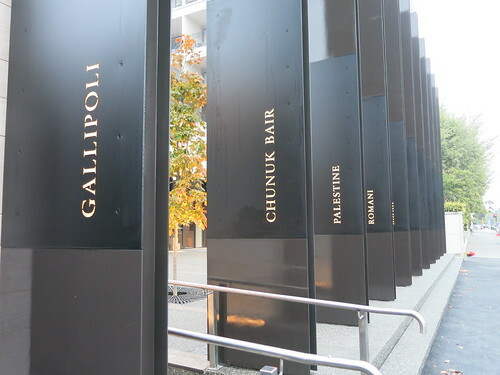 Stories and photos are included of soldiers on the roll of honour located on the wall outside Matuku Takotako: Sumner Centre. 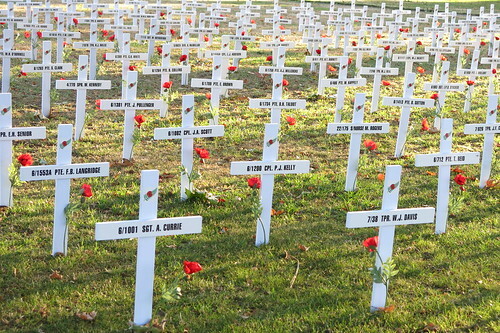 The Christchurch Field of Remembrance was established in 2015 for Anzac Day, with 632 named crosses commemorating Cantabrians who died in World War I in 1915. Each year more crosses have been added to represent the fatalities from that year – 825 crosses were added in 2016 representing those who died in 1916, 1406 crosses were added in 2017 for those who died in 1917. The final 1528 crosses – representing those who died in 1918 – were added on Saturday 14 April 2018. There are 4391 crosses. Find out more by visiting the Canterbury and World War One: Lives Lost, Lives Changed exhibition at Canterbury Museum. See more activities and projects in Canterbury listed on the WW100 site. On 25 April we will stop to remember those who served in the conflicts New Zealand has participated in, from the world wars to Iraq and Afghanistan, via Korea, Vietnam and others, and not forgetting New Zealand’s 19th century wars and the Boer War. “Indian Troops at Gas Mask Drill.,” by Unknown. The Imperial War Museum via First World War Poetry Digital Archive, accessed April 13, 2017, http://ww1lit.nsms.ox.ac.uk/ww1lit/collections/item/3616. There is much to remember, and this year the focus will be on the 100th anniversaries of the Battle of Messines in June and Passchendaele in October, in particular 12 October which saw more than 800 New Zealanders killed in a single day. The editorial also makes a passing reference to some of the Indian troops who served during the Gallipoli campaign. 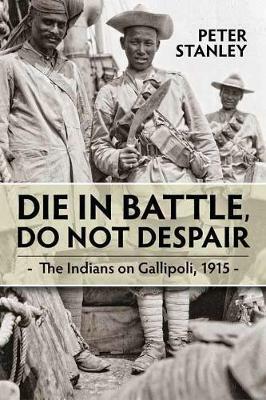 Around 16,000 individuals from the Indian Army served during the campaign and their neglected story is well told in Die in battle, do not despair: the Indians on Gallipoli, 1915 by Peter Stanley. Ever growing access to different sources and new publications means that we can uncover and share more stories than ever about the First World War and other conflicts New Zealand has been involved in. This article was published in issue 3 of our quarterly magazine, uncover – huraina. Read it online. The Battle of the Somme lasted from July to November 1916. The New Zealand Division became involved on 15 September at Flers-Courcelette, which was their first major action on the Western Front. While the casualty figures for the whole battle are horrendous for all nations involved, those for the opening day of the battle for the British Army and Newfoundland forces are truly staggering – over 57,000 wounded and more than 19,000 killed. It was truly a disastrous day and only the Fall of Singapore in 1942 saw more casualties for the British Army – although the majority of those were prisoners of war. What makes 1 July even more devastating is that so many British and Newfoundland soldiers were going into action for the first time, many in what were known as Pals Battalions where men from local communities joined up together. Not surprisingly, this had disastrous consequences for these communities which were often in working class, industrial areas. There are a couple of excellent and contrasting histories of this day. 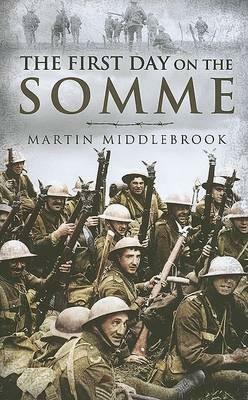 Martin Middlebrook’s First Day on the Somme is a classic military history which looks in great depth at the formation of the British units on the Somme and tells the story of the battle through the of a number of soldiers. Andrew Macdonald’s recent First Day of the Somme explores in great detail how the battle plan evolved and analyses the tactics of the army formations involved to show how they failed or partially succeeded. Over the next few days and months I will be thinking of those who fought on 1 July and throughout the rest of the battle, in particular the 7th Battalion, Lincolnshire Regiment who went into action near Fricourt late on 2 July. Do you have any connection to the first day of the Somme, 1 July 1916? Our newspaper and magazine archives are a great way to explore historic events as they unfold. Log in with your library card number and password / PIN. Monday 25 April 2016 is Anzac Day. All our libraries will be closed on this public holiday. Read our page on Anzac Day and Gallipoli to find out more about this commemoration. Commemorative services often begin before dawn with a march by returned and service personnel to the local war memorial, where they are joined by other members of the community for the Dawn Service. Assembling for the Anzac Day Parade, 301 Halswell Road. Photo by Ellenor Waters. CCL-HP2015-EW-DSCF2940 Photo from The Halswell Project. Organised by the Canterbury Branch of the Malayan Veterans Association in conjunction with the Christchurch Branch of the Royal New Zealand Returned and Services Association (RSA) and Christchurch City Council. Mayor Lianne Dalziel will lay a wreath on behalf of the citizens of Christchurch. Organised by Christchurch City Council in conjunction with ChristChurch Cathedral and the RSA. It will be attended by representatives of the Defence Force, Consular Corps and local youth groups. 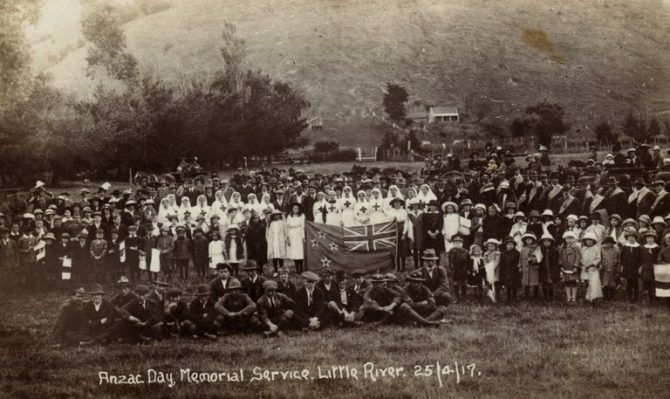 The RSA website features a Find an Anzac Day service resource. In 2015, the Canterbury Province Field in Cranmer Square contained 632 crosses commemorating the men and women of Christchurch who died in 1915. That number will be added to in 2016. 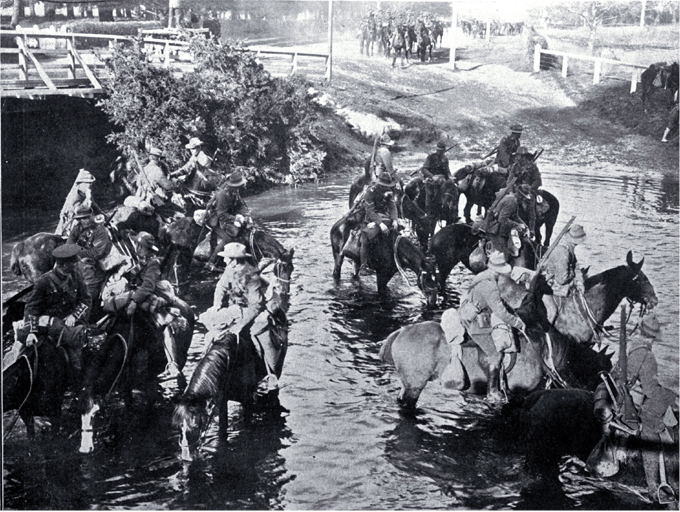 Canterbury Mounted Rifles regiment display – 18 to 30 April at Te Hāpua: Halswell Centre. Joe Dixon talk on the Canterbury Mounted Rifles, Tuesday 19 April, 2pm. Linwood Community Arts Centre (corner Worcester and Stanmore Road). Anzac Exhibition 2016 Monday 11 April – up to and including Anzac Day. A multi-media participatory experience on the theme, “We honour, we remember, we reflect”. Photographs, artworks, installations, talks, readings, poetry and prose, printed and audiovisual material. It will be a change to do something instead of sitting in a trench. I believe it will be our last scrap here as the men need a month’s or two month’s holiday and I believe the General has definitely promised the NZ & A troops a spell. They need it. 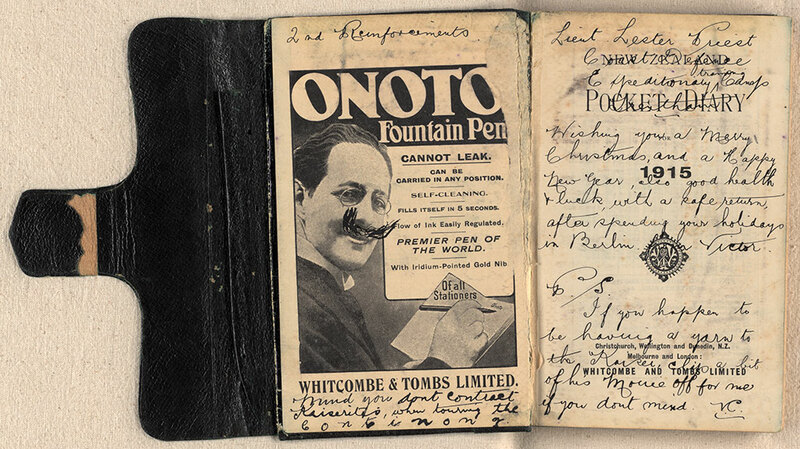 A diary kept by Arthur Francis Lester Priest (1893-1915) from late 1914 to August 1915. The diary documents his experience in the first World War. 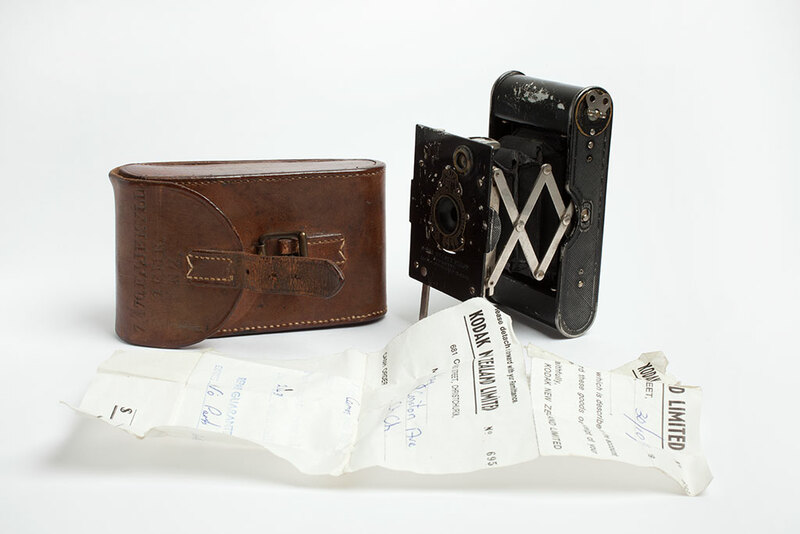 The collection includes some memorabilia kept with the diary: a letter, newspaper clippings, postcard and photograph. 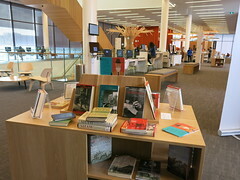 The Changing Face of Veterans (exhibition at Upper Riccarton Library until Monday 4 May). This photographic exhibition is about New Zealand’s war veterans since the First World War – our changing perceptions of veterans, and how we remember them. 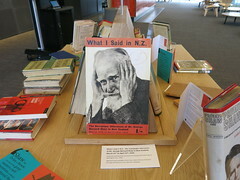 It’s a collaborative community project by Rannerdale Veterans’ Care, Upper Riccarton Library, and Riccarton High School. 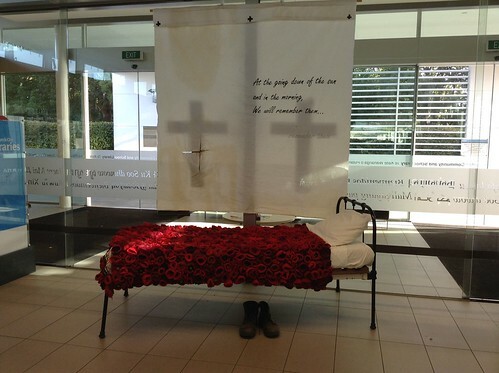 There is also a poppy blanket display. World War One at home and at the front (exhibition at Central Library Peterborough until Sunday 24 May) – A display of uniforms, equipment, photographs, publications, badges and letters, and even gas masks – all generously loaned by Barry O’Sullivan, private collector. 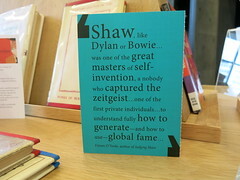 Read Alina’s post to get a flavour, and view the O’Sullivan collection online. 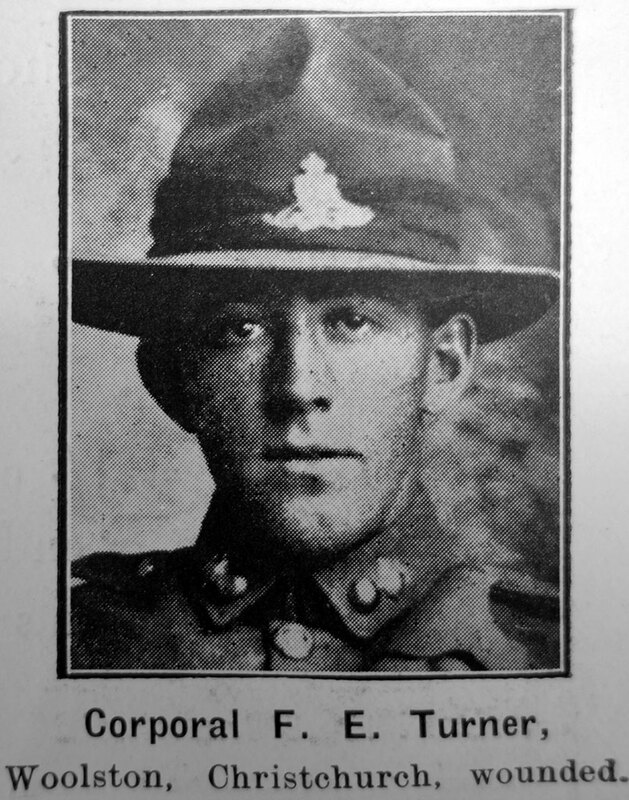 Staff from Christchurch City Libraries, have put together a display of the stories of the 62 soldiers with strong links to New Brighton, who served and died in the First World War. 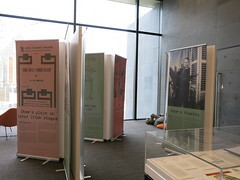 The display includes stories of each soldier and some photographs. Find out more about the New Brighton Boys on Kete Christchurch. Saturday 25 April 2015 is Anzac Day. 25 April 2015 also marks a hundred years since Gallipoli. The Australian and New Zealand Army Corps (ANZAC) troops first landed on the beaches of the Gallipoli Peninsula, in Turkey on 25 April 1915. Check our library hours over Anzac weekend. All libraries are closed on Saturday 25 April, but open as normal on Sunday 26 April. On Monday 27 April, Linwood, Papanui and South Libraries and our telephone service 941 7923 will be open from 10am to 4pm. All other libraries will remain closed. The following information is from the Christchurch City Council community events page. The dawn service will be held in Cranmer Square. Organised by the Canterbury Branch of the Malayan Veterans Association in conjunction with the Christchurch Branch of the Royal New Zealand Returned and Services Association (RSA) and Christchurch City Council. Mayor Lianne Dalziel will lay a wreath on behalf of the citizens of Christchurch. Organised by Christchurch City Council in conjunction with ChristChurch Cathedral and the RSA. It will be attended by representatives of the Defence Force, Consular Corps and various Christchurch youth groups. Christchurch City Council lists other services in Canterbury [31 KB PDF]. Gallipoli 100 – ANZAC Remembered 2015 Woolston Brass’ special ANZAC concert marks the 100th anniversary of the 1915 Gallipoli Campaign. Featuring The Christchurch City Choir, the concert will be held at the Charles Luney Auditorium (St. Margaret’s College) Saturday 25 April 2pm. See our photos of the new Christchurch RSA building on Armagh Street, officially opened on 27 March 2015. Come on down to Central Library Peterborough to have a look at our genuine First World War memorabilia, kindly loaned by local collector Barry O’Sullivan. Featuring gas masks, cameras, soldiers’ kits, uniforms and a wide variety of other items from both home and abroad, this is a great opportunity to get up close and personal with life from 1914 to 1918. The exhibition runs until Sunday 24 May, so do pop in and give us a visit. 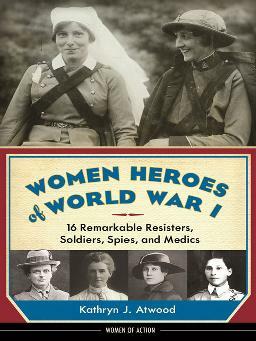 I’ve just finished reading Women Heroes of World War I. It includes Lady Helena Gleichen and Nina Hollings, radiographers in Italy. Among other things, they x-rayed gassed soldiers and discovered that their lungs shrivelled to about two inches in diameter. That sounds a little uncomfortable to me – all that stood between them and the gas was a flimsy hood soaked in glycerin and sodium thiosulphate. The German gas mask by comparison looks a lot more like the bug-eyed versions I’m familiar with, with goggles attached to a breathing apparatus. Another exciting discovery is the possible connection between a camera in our exhibit and a roll of film donated to the Alexander Turnbull Library in Wellington. They have kindly provided some scanned copies of the photos taken on the camera which can be viewed alongside the exhibition. Our First World War information. Digitised images from the O’Sullivan collection. First World War blog posts. Search for First World War items in the library catalogue. Find your own World War One soldier. 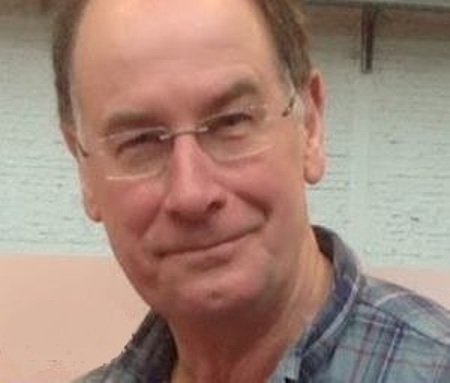 Peter Hart has been Oral Historian at the Imperial War Museum since 1981. 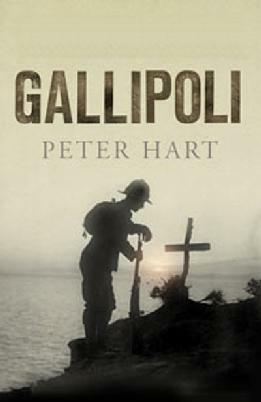 He has written a number of books about various aspects of the First World War, including Gallipoli and aerial warfare. 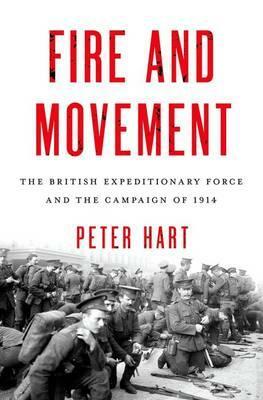 His latest book is Fire and Movement, which takes a fresh look at the British Expeditionary Force in August 1914. In this book you look at some of the myths that have grown up around the British Expeditionary Force (BEF) in 1914. How far do you feel that anything new can be said about the First World War? It is not so much that anything new can be said – it is that ideas and concepts hitherto largely the province of historians and academics can be presented to a wider audience in a manner which is readable and entertaining. This is greatly helped by using carefully sieved personal experience accounts to bring the mingled drama, horrors and dark humour of the battlefield home to the reader. Popular histories often merely regurgitate myths based on wishful thinking and wartime propaganda. This is especially the case early in the war where we have the legend of the ‘Old Contemptibles’ of the BEF on the Western Front in 1914. Sheer nonsense that ignores what the Germans and French Armies – the main fighting forces during the huge Battle of the Frontiers and the Battle of the Marne – were doing in favour of nationalistic breast-beating myths. The real story of the BEF is far more believable and interesting. We should take pride in what people actually achieved – not in popular myths. You mention that the British had prepared for war ‘but not for the type of war that faced them in 1914’. Why was the actual war different to what was expected? There are a variety of reasons. It is always difficult to prepare for the unknown, armies nearly always reach back to their last major conflict for inspiration and a tactical guideline. In the British case this was the Boer War which proved sadly misleading. Little could be gained in preparing for a continental war with armies counted in millions, by analysing skirmishes with Boer guerrillas. The eventual British success based on fast-moving columns and blockhouse bases, led to a fixation with mounted infantry (later overthrown) and light artillery. Officers were thinking, developing their tactics and bringing in new weapons, but Britain had no large-scale training grounds on which to have full-scale realistic exercises. Budgetary constraints imposed by the government also meant that identified needs – such as more machine guns – were refused on financial grounds. Britain was not alone in this problem, but her situation was far worse as she had allotted most of the defence/war budget to the Royal Navy the force on which the whole British Empire depended. The army was a small afterthought, deployed with little strategical analysis to bolster the French Army. Thus the BEF was thrust into a continental war for which it was not prepared. You’ve now written many books about the First World War, what is it about this conflict that keeps you coming back for more? What First World War books have inspired you? I have always been fascinated in the Great War since I saw the television series in the 1960s and began reading the veterans published memoirs as a young bespectacled geek. Of these I particularly remember the Joseph Murray book Gallipoli As I saw it and the John Terraine masterpiece, Douglas Haig: The Educated Soldier. When I began to work as the oral historian at the Imperial War Museum back in the 1980s I had the pleasure of interviewing over 150 veterans in great detail – of which one was Joe Murray who recorded over 20 hours – wow! The synthesised results are finally being published in August of 2015 – in some ways the culmination of my professional work. I think I was attracted to the war because we all wonder how we would have coped with those nightmarish conditions and the hell of ‘going over the top’. At first I was filled with a fury at the ‘stupidity’ of the generals. Later on, I was taught the reality by a combination of the veterans, my colleagues and some brilliant historians like John Terraine. Now I find the sheer complexity of the war mindboggling, there was no ‘easy way’ to victory and if you engage in continental warfare with a major power then hundreds of thousands of men will die. Put bluntly: to beat the German Army you have to kill 2-3 million of the best trained and equipped soldiers in the world. This is a murderous business however you look at it. Do you have any thoughts around how public libraries can engage with the First World War centenary? I think the Great War is not something to be celebrated. Personally I am interested in the war as a historical event to be studied and understood as widely as possible – the sentimental centenary side of it passes me by a bit. Yet I fully accept that we should never forget all those on all sides who died or had their lives ruined in that terrible conflict. I just think their memory is best served by establishing what really happened to them and why. Having said all that then Canterbury Library seems to be on the right track! Making historical resources freely available so that people can look up relatives/local people and see what they wore, how they lived and where/why/how they fought. 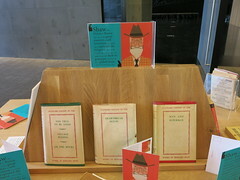 Small on-site displays can be very effective in sucking in interest. Online exhibitions are great and the use of social media including Blogs, Facebook and Twitter feeds can help increase awareness of our subject. Booklists are great in leading people towards a new world of learning – as long as they are not merely a list of books spouting mythologised nationalistic rubbish. The centenary could be an opportunity to gain a realistic perspective; but it could be a disaster if we fail to challenge historical untruths – or as some would call them – lies. See our page on WW100 commemorations.